AirDisplay is a great app if you are looking for an extra screen while you are working on your laptop. AirDisplay can even turn a users Macbook into an extra display for an iMac. However if you are running an older Macbook Pro with Nvidia graphics there are some known issues with the graphics driver that can cause the device to not be able to drag and drop files etc. until the user has disabled Air Display. 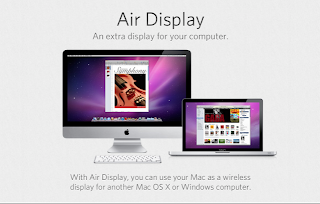 AirDisplay costs $19.99 and is available on the iTunes store for iPad and iPhone. The software that installs locally on your Mac is free and instructions for where to get the software and how to install it are included in the AirDisplay app. Once the app is installed on the iOS device and on the Mac they auto detect one another as long as they are on the same network and connect. Once that is completed users can open Display Preferences to decide which side to place the extra display on. The touch screen still reacts like normal on the iOS device. If the user has an application with tool bars like Photoshop it is a convienent control surface. Reach over tap the tool you want and return to work without having to move the mouse to the other screen. I recommend using the AirDisplay app while plugged into external power to preserve the battery on the iOS device. This is a great application that grants road warriors a second screen while on the go or a convenient extra screen while working on a desktop. 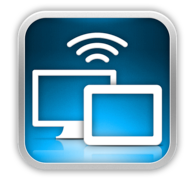 With AirDisplay and Mavericks in the future a user could have a multi screen laptop completely wirelessly. The main laptop screen, a second iOS device screen with control surface and an AirPlay Display hanging on the wall. The flexibility becomes limitless. For the $19.99 price tag AirDisplay is the best among the remote screen applications and well worth the investment.